Who, where, when: Texas State (3-6, 1-3 Western Athletic Conference) at Navy (6-4), Saturday, 3:30 p.m.
Gambling is illegal in most states: Navy is a 13.5-point favorite. Firsts: It’s the Bobcats’ first season in the Football Bowl Subdivision. Navy’s playing Texas State for the first time. It also might be the first time a team that gave up 41 points the week before (Navy lost 41-31 to Troy) can be considered a defensive juggernaut compared to its opponent (Texas State lost 62-55 to Louisiana Tech in a shootout that was tied at 48 with 14:55 to play). Seniors celebrate: Freshman quarterback Keenan Reynolds continues to get the headlines, but his experienced teammates will be in the spotlight for their final home game. Among the standouts: Outside linebacker Keegan Wetzel (team-high 11.5 tackles for loss), slotback Gee Gee Greene (team-best 679 yards rushing, averaging 7.5 a carry), safety Tra’ves Bush (team-high 74 tackles) and linemen Josh Cabral and Ryan Paulson (anchors on the left side of the nation’s sixth-ranked rushing offense). Another homecoming: Another senior, a familiar face to Navy fans, will line up against the Mids this weekend — running back Marcus Curry, who left Annapolis in 2010, leads the Bobcats in rushing with 513 yards on the year. He had 134 yards and two touchdowns last weekend against Louisiana Tech. More on his departure from the academy and his return this weekend from Don Markus at The Baltimore Sun here. Watch those flags: Texas State has averaged 74 penalty yards per game this season. Only five FBS teams have averaged more. Navy’s 26.6 penalty yards per game is third-best-behaved in the nation, behind those goody-two-shoes at Kansas State and Air Force. A disciplined Senior Day could net the Mids almost 50 free yards. 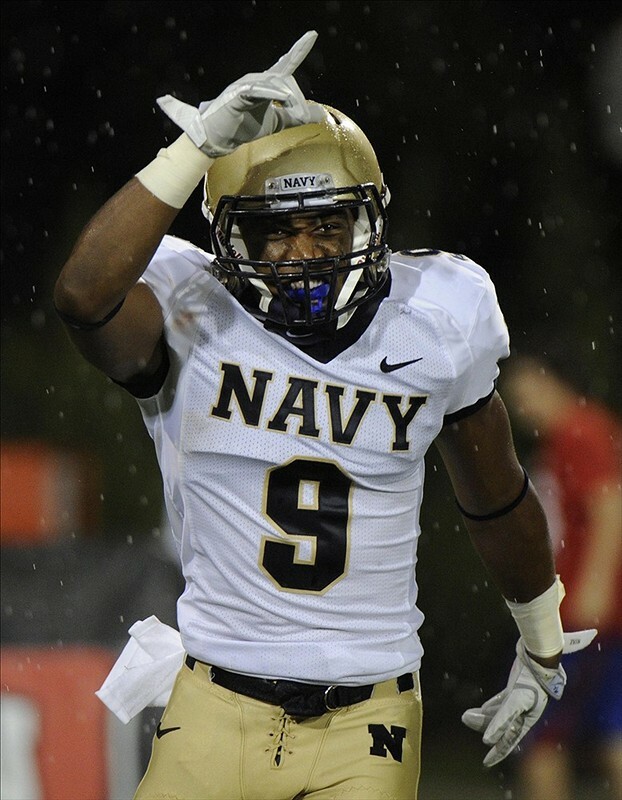 Closing strong: Fans might be ready to look past the Bobcats and at the Black Knights, but for momentum’s sake, Navy can’t afford it. With two bye weeks before the Dec. 8 showdown in Philadelphia, a stumble this weekend would give the Mids plenty to think about during their time off — they’d be winless for more than a month entering the Army game. Not even the best spirit spot could turn that mood around … but if you’ve got one that might try, feel free to post a link on our Facebook page or leave it in the comments below.